I pulled out some old Peach Parfait DSP for the background and added a piece of Whisper White card stock. I hope you can see the spider web from The Stamps of Life in the background, that I stamped in Illuminate pigment ink. To make the hanging spider, I stamped him once, directly on the card, then punched a hole in his center (ouch!) I strung a piece of black needlepoint floss through the hole and adhered it to the back. Then I restamped the center of the spider and covered the hole with some Stampin' Dimensionals. The sentiment is from Border Banter. Hope you like it! Don't forget to take a peek at the rest of the creations from the fabulous Cupcake Inspirations Sweeties! 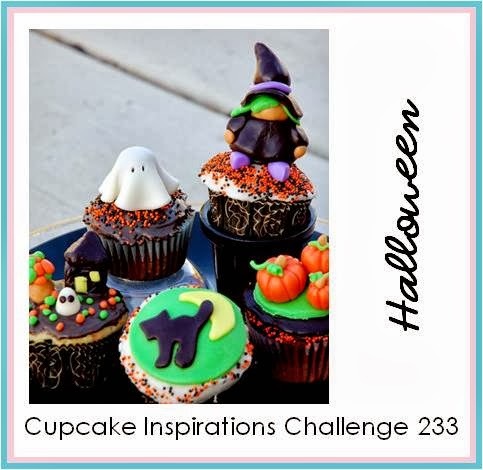 Then be sure to make a Halloween card and link up to the challenge! 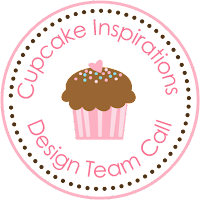 If you love our Cupcake Challenge, be sure to apply to be a part of our Design Team. I'd love to be able to create with you!